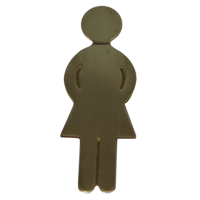 Add indication to your rest rooms with beautiful brass metal signs, also heavy duty shower rods for your bathroom accessories. Products Organization made easy and elegant with this Glass topped shelf. Made of heavy gauge brushed stainless steel Ensuring quality and longevity. Multipurpose Uses - Shampoo Rack, Perfume Rack, Bottle Holder etc. or used in the kitchen also. Can Easily Wall Mount. Very Sturdy High-Grade Stainless Steel Material and Sleek Surface. Toilet brush holder discreetly and decoratively stores toilet brush in bathroom. Made of heavy gauge brushed stainless steel Ensuring quality and longevity. The modern and appealing design of the Complementary accessories ensures that you can coordinate these with a wide range of bathroom styles. Our toilet brush is made of corrosion resistant material, so it's ideal for bathroom use. Plus it's very discreet: the holder covers the brush. Modern look, Make your bathroom more beautiful with stainless Steel shower shelf complements the bathroom layout and enhances the shower experience with sophisticated shelf designs. HEAVY DUTY: All metal construction, ensuring quality and longevity. This Wall Mounted Design shelves as an ideal complement to illustrate the insight of your bathroom. Modern looking multi functional wall mounted corner shelf. Constructed by stainless steel, ensuring quality and longevity. SPACE SAVING Keep shampoo, soap and other bath items handy in this metal cornershelf. This wall shelf not only use in bathroom, you also can installation for orgainzing kitchen item. Modern looking multi-functional wall mounted metal shelf. Constructed of stainless steel, ensuring quality and longevity. SPACE SAVING Keep shampoo, soap and other bath items handy on this wall shelf. This wall shelf not only use in the bathroom, you also can installation for organizing kitchen item. Modern look, Make your bathroom more beautiful with stainless Steel rail shelf for towels complements the bathroom layout and enhances the shower experience with sophisticated shelf designs. HEAVY DUTY: All metal construction, ensuring quality and longevity. Toilet brush holder discreetly and decoratively stores toilet brush in bathroom. Made of heavy gauge brushed stainless steel Ensuring quality and longevity. The modern and appealing design of the Complementary accessories ensures that you can co-ordinate these with a wide range of bathroom styles. Our toilet brush is made of corrosion resistant material, so it's ideal for bathroom use. Plus it's very discreet: the holder covers the brush. Modern & simple looking toilet paper holder Stainless Steel Tissue Paper Roll Towel Holder RUSTPROOF Brushed Finish, build to resist daily scratches, corrosion, and tarnishing. ensuring quality and longevity. Paper Towel Holders to Store and dispense standard and jumbo paper towel rolls. Mount to wall, Also, Under cabinets, inside cabinets and doors to save counter top space. Durable and stylish, this decorative tissue paper holder will be a fashionable accent in your kitchen. Enhance your bathroom décor with modern looking standing tissue storage holder. Compact design is great for small spaces. classic Stainless Steel brushed finish ensuring durability and dependability & complements any bath décor. Stylish, functional and affordable space saving bathroom storage solution. Modern & simple looking toilet paper holder Stainless Steel Tissue Paper Roll Towel Holder RUSTPROOF Brushed Finish, build to resist daily scratches, corrosions, and tarnishing. ensuring quality and longevity. Toilet Paper Holder is a stunning addition to the interior of your bathroom or kitchen. keeps your paper towel rolls easily accessible. Made of durable brass. Toilet Paper Holder is a stunning addition to the interior of your bathroom. Made of brass and in Polished Brass Un-Lacquered finish. This will Patina over time and looks absolutely gorgeous. 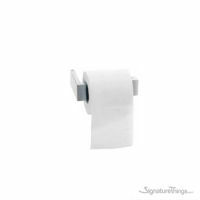 Make a statement to your bathroom with modern looking reverse toilet paper holder. Made of stainless steel brushed finished. Awesome in our modern bathroom. build to resist daily scratches, corrosions, and tarnishing. ensuring quality and longevity. 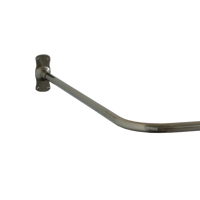 Stainless Steel Shower Bar combines quality, strength, and durability with a classic design to bring safety and stability to your bathroom without sacrificing style. bright stainless features a smooth surface for a simple clean look. Wall Mounted Bathroom Toilet Paper Holder Antique Brass Roll Tissue Box. Stylish modern designed triangle towel holder is a Space saving and keeps the towels clean/handy. All Stainless Steel construction, ensuring quality and longevity. Perfect for hanging and organizing the face towels, bath towels and clothes in order. Fine brushed stainless steel Eccentric hook rack - Feature 4 sturdy hooks. New and High-Quality Stainless Steel Material: Coat Hooks. Length: 17-5/16", Durable and Easy to install & convenient and stylish way to organize the keys and keep the coats and bags off the floor. Beautiful option to use in the bathroom to store towels and robes. Also hangs Kitchenware or almost anything Within its load range. Perfect for organizing any entryway, hallways, or foyer. Great for rooms with limited storage space. the classic design of this decorative hook rack adds style and functionality to any home or office.